Before the lawsuit was even filed, Qualcomm has agreed to a $19.5 million settlement with a class of women. The potential class action against the large tech company alleged that these women were denied equal pay and job opportunities at the company. A copy of the complaint reflected that women hold less than 15% of senior leadership positions at Qualcomm. Moreover, women in science, tech, engineering and math fields earned less than their male co-workers within the company. The mostly male managers were charged with deciding who was promoted; the result was that fewer women received promotions. The complaint also referred to an unwritten policy that rewarded employees who worked late over those who arrived earlier and left at the end of a normal workday. Such a policy had a disparate impact on women with children. Qualcomm submitted a written statement to the press about the settlement: "While we have strong defenses to the claims, we elected to focus on continuing to make meaningful enhancements to our internal programs and processes that drive equity and a diverse and inclusive workforce which are values that we share and embrace." 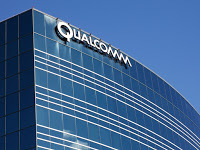 In addition to the monetary settlement, Qualcomm has also agreed to hire two independent consultants. These consultants will make recommendations to help create a more equitable workplace. The company will also have an internal compliance officer to make sure the terms of the agreement are implemented. These terms include investing in leadership development initiatives, educating employees on non-discrimination policies, and improving the company's complaint processes.